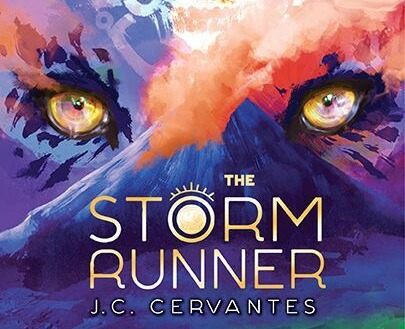 I received a copy of The Storm Runner from Disney Book Group in order to facilitate a review and giveaway, but all thoughts and opinions expressed in this blog post are entirely my own. When Disney Book Group contacted me about sharing information for the release of a new Rick Riordan Presents middle grade fiction book, I knew I was totally in! 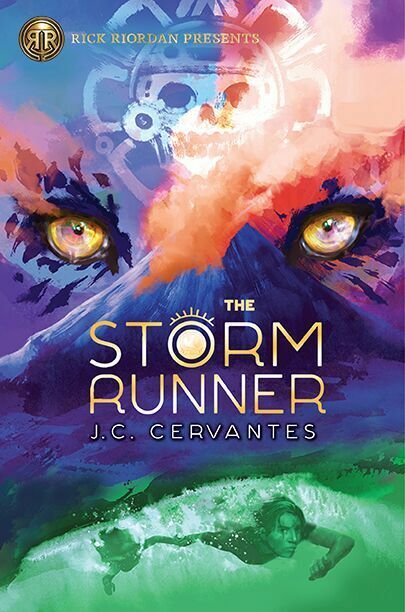 *Insert happy squeal* Today I am excited to introduce you to the Storm Runner from J.C Cervantes! Here’s a little snippet: How can one boy with a limp stop the Maya god of death, disaster, and darkness from destroying the world? You know you want to know more now right?! One lucky JENerally Informed reader is going to have the chance to win not only a copy of this fantastic, brand new book, but a $50 Visa gift card as well! Just in case you can’t wait for my giveaway to end and want to be able to grab this book RIGHT now, you are in luck! 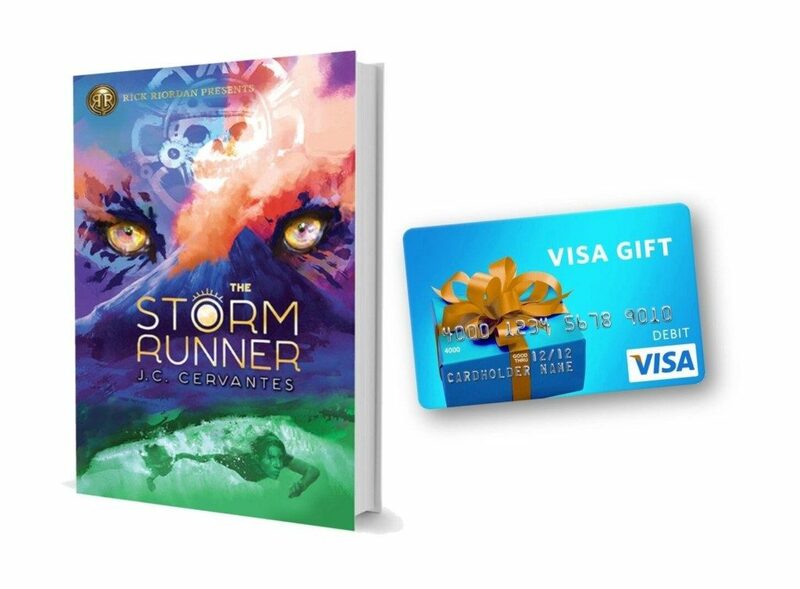 The Storm Runner was released on September 18th and is available in a book store near you, and you can grab it here on Amazon or at B&N. Thanks for popping in and good luck! Zane is a wonderful name. Hubby’s name is Zane. Sounds like a fight between good and evil. I didn’t know that! I like that name. This is really a good book. We are enjoying it! Dang. It. My oldest son LOVES everything Rick Riordan. lol But I can’t enter because I won the last giveaway. haha! Not a bad problem to have, eh? So I’ll just be excited to learn that there’s a new Riordan book I can buy him for his birthday. I would still enter. I select the winner via random number generators so you never know… How’ Santa Bruce btw? Oh that does sound amazing! My boys and I love anything having to do with Rick Riordan. Pinned! Ooh how fun! Thanks for the chance to win. Entered and tweeted! I know my kids would love that! Hey thanks and good luck! Hi Jen, adventure, bravery & friendship against the odds. Sounds like a book worth curling up with whilst tackling a whole herd of monster doughnuts ( I have no idea what the correct group name for monster doughnuts is). I concur, monster donuts for the win always! One of the most beautiful covers I have ever seen. Love it!